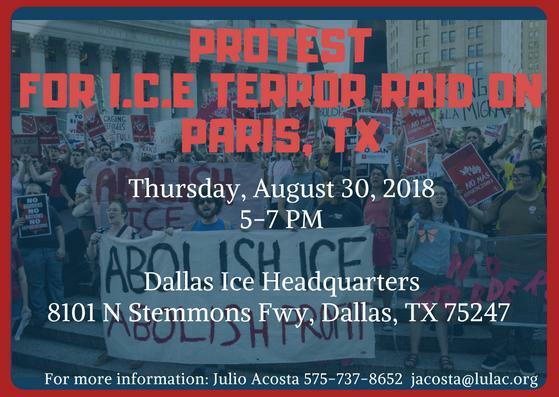 LULAC is mobilizing a team of pro bono attorneys, paralegals, and volunteers to help the family victims of the ICE terror raid on a Paris, Texas business. Let's help the families and stand up for American values. We are setting up a command post today at Iglesia Evangelica Filadelfia Church of Paris, with Rev. Beto Prado and several immigration attorneys at, 188 19th S.W, Paris, Texas from 12 pm -7 pm. We will help with free legal advice, counseling , and supplies for the families. How can you help? Donate money or supplies to help the families or volunteer. Show your support and donate $10, $15, $25 dollars or more to mobilize our Latino community and send a message to Congress to pass a fair immigration reform bill today. Go to LULAC.org to Donate. 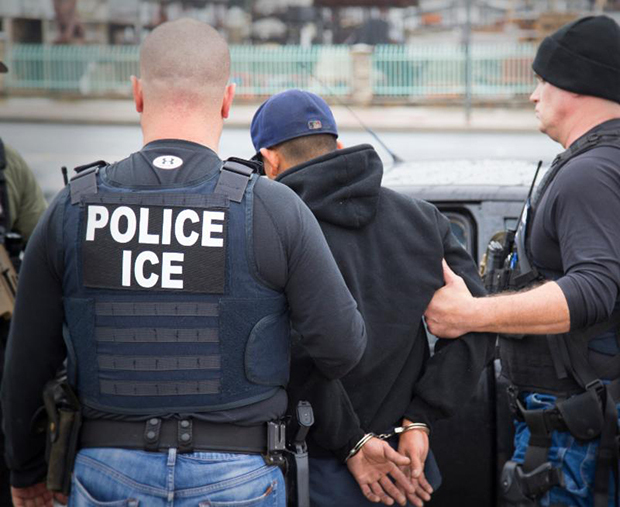 U.S. Immigration and Customs Enforcement has announced a 24-hour toll-free detainee locator hotline is available for family members of those arrested in this operation to address questions about their detention location and status, and the removal process. This hotline operates in English and Spanish; the phone number is 1-888-351-4024. 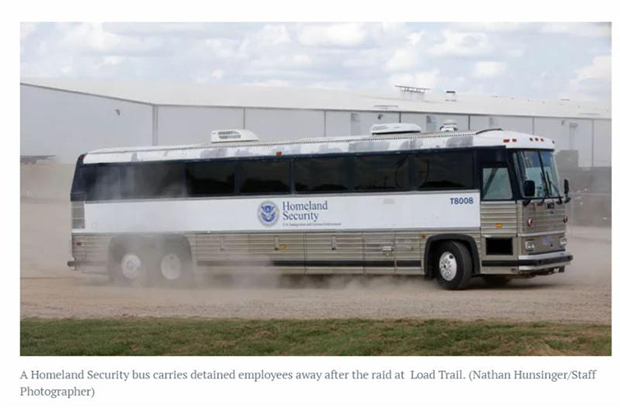 On August 28th, Federal agents raided a northeast Texas manufacturing plant and detained about 160 alleged undocumented immigrant workers as part of an ongoing criminal investigation into a company that makes vehicle trailers. The I.C.E office in Dallas said the operation was thought to be one of the largest of its kind nationally in a decade. 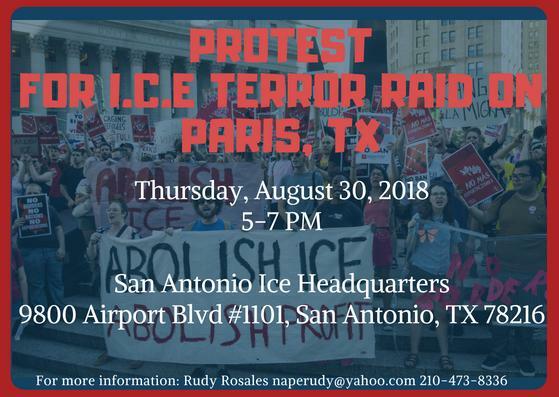 We need to ABOLISH ICE, Stop the Terror Raids! Show your support and donate $10, $15, $25 dollars or more to mobilize our Latino community and send a message to Congress to pass a fair immigration reform bill today.